Others of us may yield to the snooze button. Whatever. There’s no right or wrong in this process. There is only winter: cold, wet and gray, tormenting us with dreams of gentler climes and fruity drinks under beach umbrellas. However, those of us who can’t get away from winter’s worst make the most of what we have right here, right now. And if we don’t like it, we’ll reinvent it! Reinvention is a beloved American invention. Take what the game gives you, add a twist of lime and a dash of chili pepper, fry it with love and watch the lines form. Here in D.C., a city which, by American standards, has a lot of history, the chances are that anywhere you plant your foot was once trod upon by someone famous or infamous. Some of these places have been lovingly preserved with all their dignity and charm intact. Others have been allowed to languish and/or rot. It takes money and will to resist entropy. But sometimes an injection of good old brass-knuckled entrepreneurism can breath new life – or at least tourists – into areas overlooked for decades. Such an area is the Chesapeake and Ohio canal below Georgetown. From 1831 to 1924 the original C&O canal provided an important route for barges laden with Pennsylvania coal. But the frequent flooding from the Potomac River eventually took its toll and as railroads took over the coal trade the canal languished. 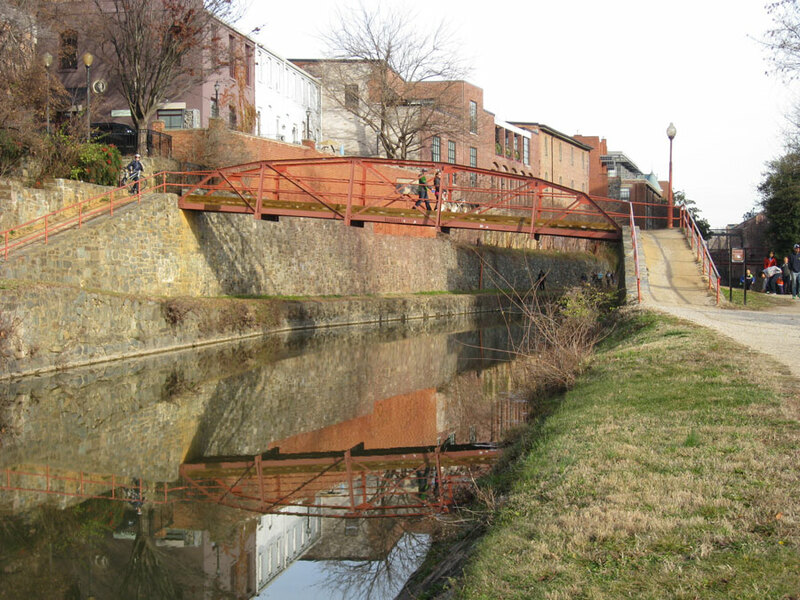 While several high profile politicians, notably Supreme Court Justice William Douglas in 1954 and President Eisenhower in 1961, helped to bring public attention and funds to preserve the canal, the area below Georgetown remained under the renovation radar until recently. These days the pedestrian bridges across the canal swarm with bikers, joggers, and cupcake-eating tourists. The old brick warehouses that still line much of this portion of the canal have been remodeled into condos, trendy restaurants and event spaces. Only traces remain of the area’s funky roots, where the old flour mill once flourished along with the Bayou, the legendary local music club. Evolution isn’t only a matter of blood and bone. It’s a process in brick and concrete too. 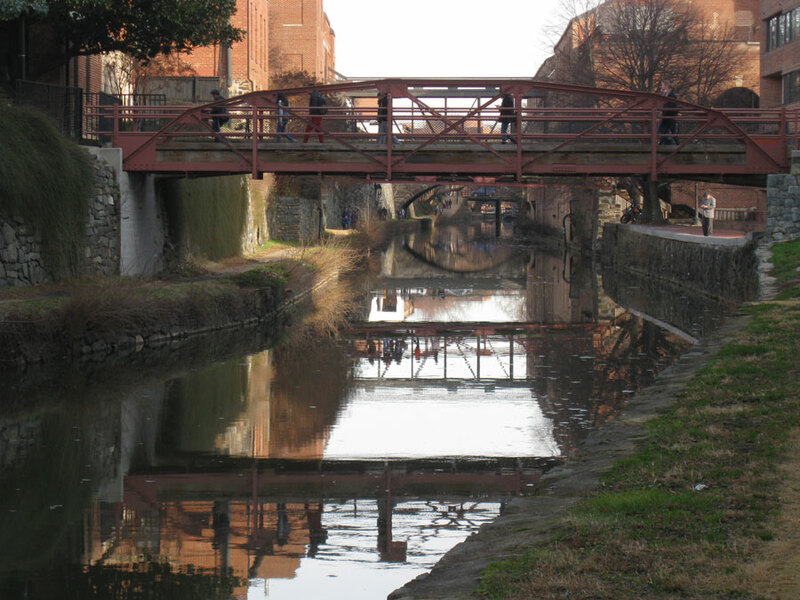 The C&O canal slips past the old and the new, quietly reflecting the changes, as we reflect on our own.